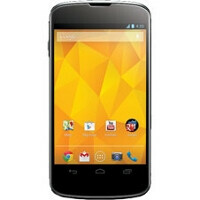 LetsTalk is offering the elusive Google Nexus 4 handset right now at a pretty good deal of a price, though you'd have to commit yourself for two years at something like T-Mobile's Classic Unlimited bundle, which includes 2GB of data at 4G speeds for $80 a month. If you pick the Nexus 4 and enter coupon code TALKLOGIC upon checkout, the $84.99 price gets knocked down 10% with a shopping card promotion for the cool sum of $76.49. There's of course the $35 activation fee as well, but it's still a pretty good deal for one of the hottest Android handsets on the market, which is on top of that pretty hard to come by through the regular channels at the subsidized Google price at the Play Store. * Taxes to be determined by LetsTalk . I'd rather pay $350 than have a contract. Exactly. Why pay close to $100 a month (or more) for cell phone service? Keep it, not enough for me to dump my Galaxy Nexus.